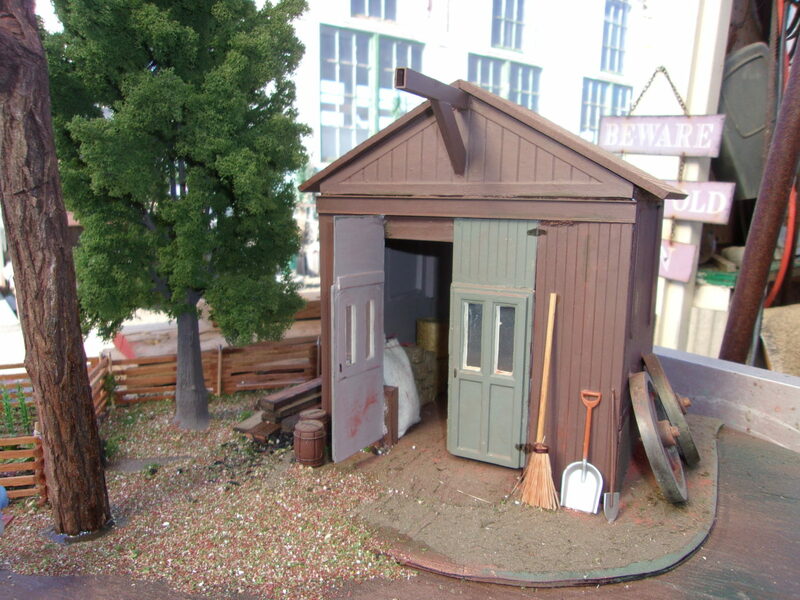 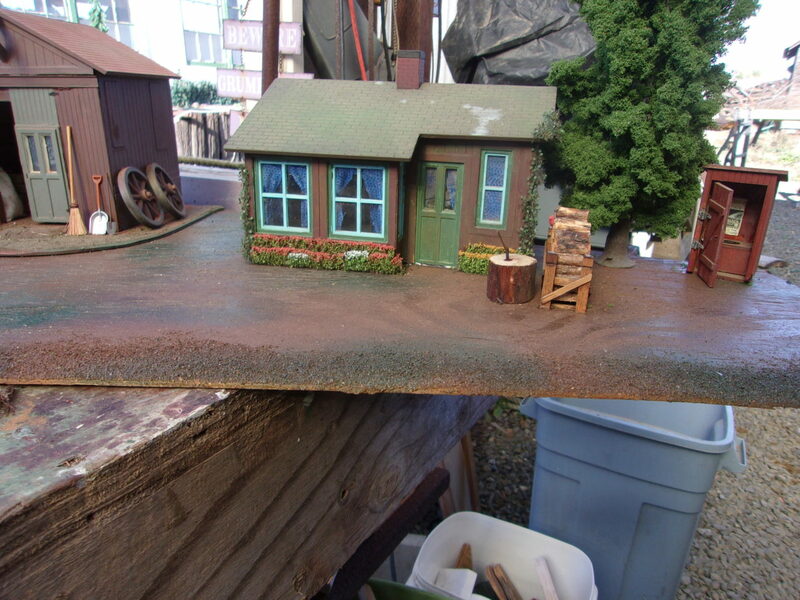 The Homestead Diorama sits at the bottom of Three Chop Ridge in the north-west corner of our layout. 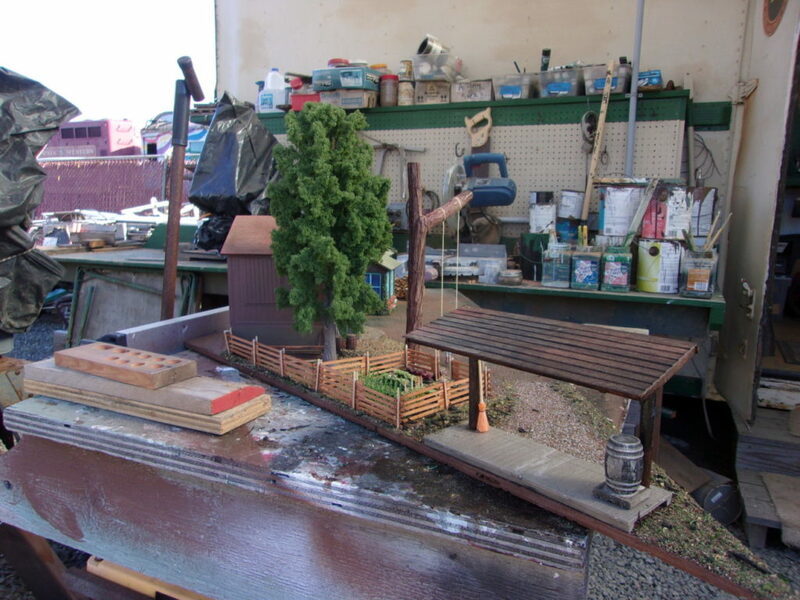 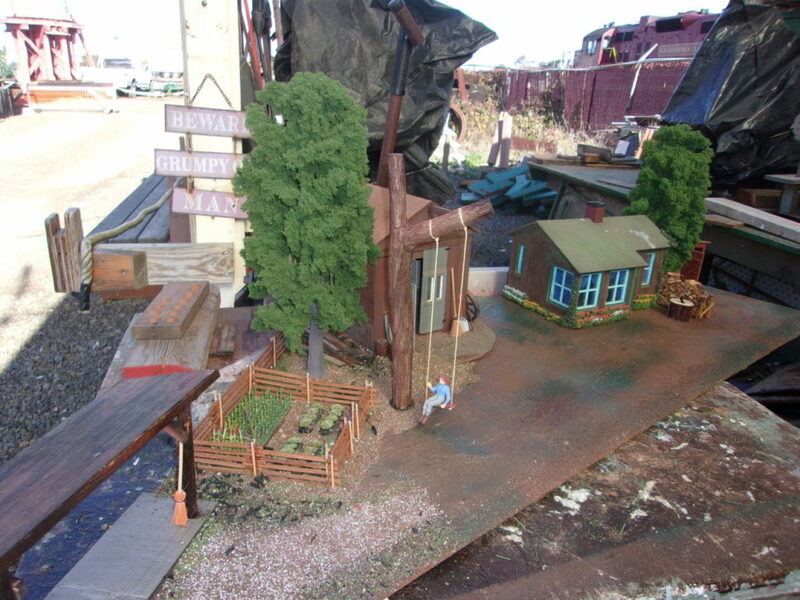 The original diorama was deemed inferior and Chuck Whitlock set to and rebuilt it. 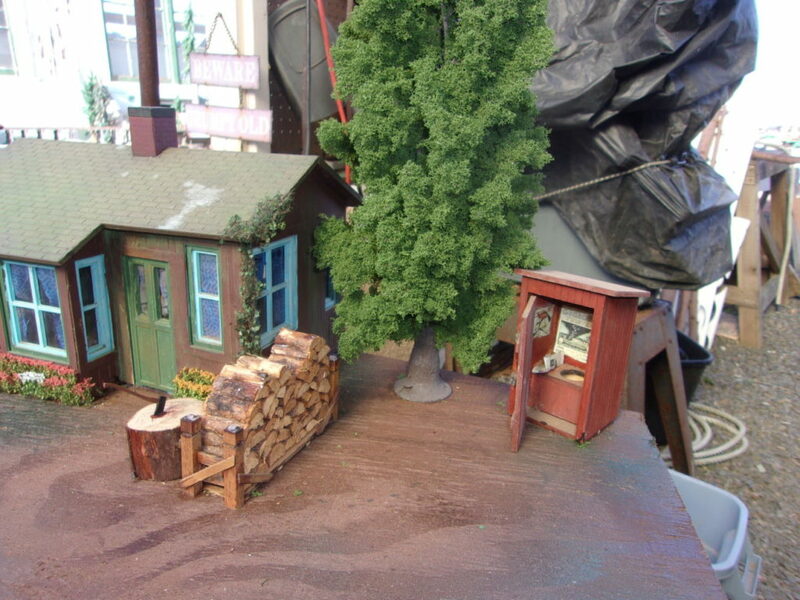 These photos were all taken either in the workshop or just outside it.